However, no attire in men’s fashion can ever provide a man the amount of sophistication and class that a suit offers to him. Evidently, it’s no novelty that a woman has ‘something’ for men in suits. Take it from a girl – when a guy has a bespoke suit in Canberra on, his personality radiates in the best possible manner and that is good enough to swoon her. Suits heat up the flame in a girl and when that fire is on, there is no way to extinguish it. If you’re wondering now of all the probable reasons why a suited man looks so appealing to a woman then this list will serve your desire just right. 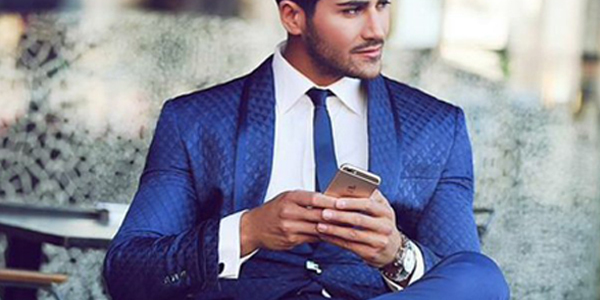 OK, let’s get this straight – men look utterly hot in suits and there is no denying it. They render a broadened look to men by enhancing their shoulder line and also highlighting their chiseled features. And when these aspects get reflected, she would want nothing but get down with you. Being classy is everyone’s aim, and with a bespoke suit in Melbourne any guy can be assured of achieving that. Class is something that comes from within and the right attire simply embraces that inside quality and instills that in your appearance. Every woman adores a classy man and he can best show that through a suit. Nothing is more attractive to a woman than a man who is confident and particular of his choices and priorities as these qualities show that he is caring, certain and organized – something that is big turn on for all of us. In today’s world of independent women, though this shouldn’t matter somehow it does. Suits give away the monetary status of a man by offering him a rich look. Moreover, it also offers an educated and sober tinge to his style which acts as an extra factor to attract her. Now you know why she bites her lip and raises her eyebrow when you walk past her flaunting a suit.